We’ve recommended a lot of great movies here at The Dissolve’s Cable Pick Of The Day. This isn’t one of them. But because The Dissolve recognizes that bad movies can have pleasures all their own, every once in a while we like to shine the light in the direction of, say, a failed attempt to capitalize on the popularity of Jaws starring Richard Harris, Charlotte Rampling, Bo Derek, Bo Derek’s severed leg (spoiler), and an angry killer whale. Harris stars as Nolan, a ship’s captain who supremely pisses off an orca by killing his pregnant mate. Determined to exact his revenge, the orca embarks on a campaign of terror designed to bring Nolan into his maw. Produced by Dino De Laurentis, Orca: The Killer Whale never comes close to matching its obvious inspiration. 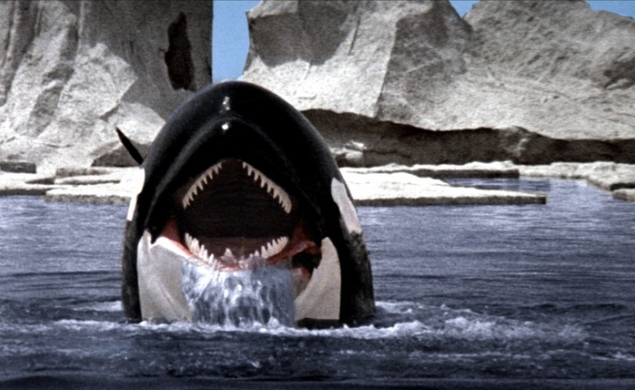 Director Michael Anderson (Logan’s Run) just doesn’t have Steven Spielberg’s command for creating terror on the seas and it doesn’t help that the orcas look more lovely than fearsome, no matter how much the film talks up their fearsomeness. But Harris is fun in the lead and it’s the sort of not-great movie that has its own awkward charms. Enjoy the breathless trailer below, and check out the film at 12:15 p.m. or 6:15 p.m. Eastern on Epix Drive-In.